From reducing your carbon footprint to bringing down your energy bills, finding new ways to go green can be a very appealing idea. Here are our top eight tips for sustainable living on a budget when investing in a greener home. While it’s tempting to crank up the heat when temperatures dip, ensure you are only using the appropriate heat and only when necessary. SheKnows, an eco-friendly lifestyle blog, suggested turning down the thermostat to 68 degrees Fahrenheit‡ when you’re awake in the house. When you aren’t at home, or you’re sleeping, turn it down to 55 degrees Fahrenheit. House Logic indicated that homeowners save $1,000 annually‡ when they switch from a manual thermostat to a programmable device. 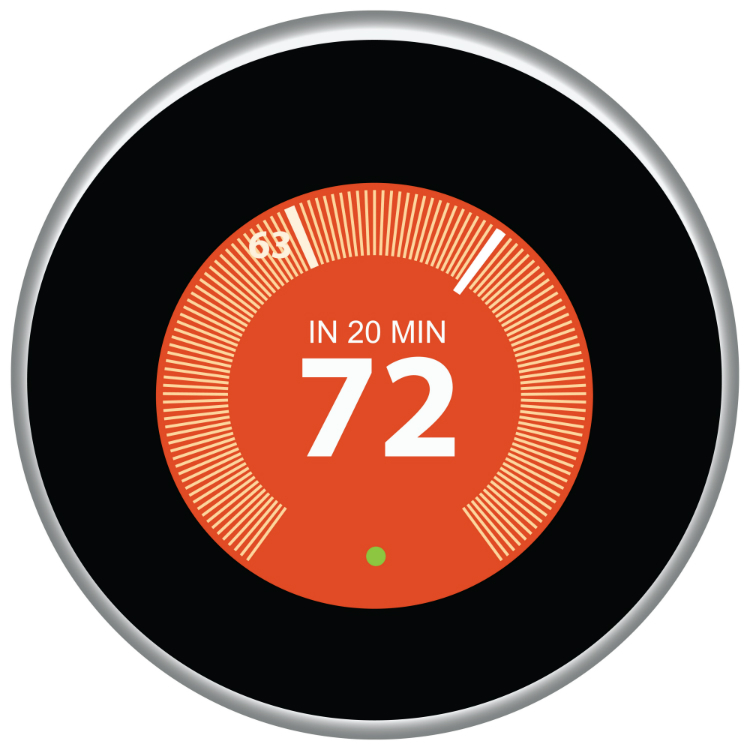 Many modern thermostats also allow you to control the temperature of your home from an online dashboard. So, next time you head out of town and realize you didn’t turn down the heat, you can easily do so while away. According to the U.S. Compost Council, composting offers several benefits‡, and it’s a cost-effective way to be a little more eco-friendly at home. Compost improves soil and plant growth by reusing decomposed materials, helps with erosion control, and can also bind and degrade certain pollutants. To compost, simply gather grass clippings, leaves, shredded paper, leftover produce and coffee grounds and pile these elements in a container. You’ll want to keep your compost damp and regularly turn the pile to ensure the process is underway. If this is your first experience composting, you’ll want to try it during the warmer months to improve your chances of success. It’s a simple way to make your home eco-friendly and reuse waste you would otherwise throw away. If you are remodeling or looking to change up some of your décor, consider using eco-friendly and energy efficient materials. Bamboo, cork, reclaimed lumber, hemp, wool and stainless steel are among some of the more easily replenished natural resources. In addition, investing in energy-efficient appliances and windows also offers financial incentives, like tax breaks and lower energy bills throughout the year. Fortunately, many of these materials are also quite stylish and some, like cork, can be more affordable than other resources. Heating water requires energy. That’s why it’s best to use cold or even warm water when using the washing machine. You can even use detergent specifically designed to work well in cold water to help make the transition to a more energy-efficient laundry method easier. Lighting is something used every day that can require quite a bit of energy. 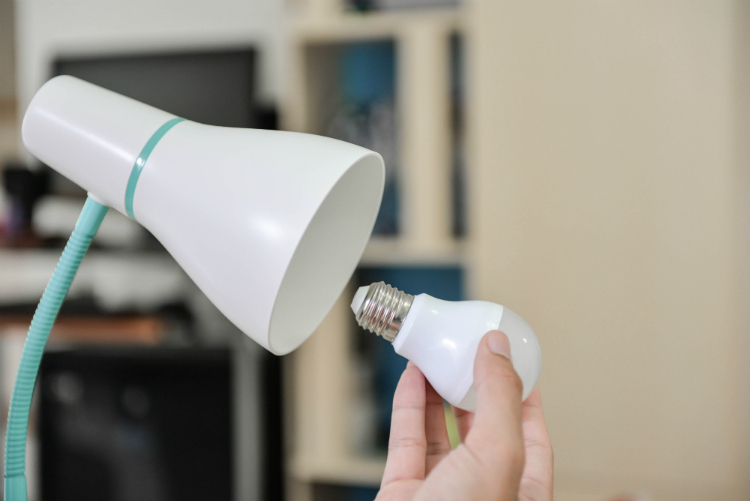 USA Today states that switching from regular light bulbs to LED or CFL bulbs‡, which use 75 percent less energy than traditional bulbs, can save a typical home about $8.33 each month. Check with your utility company to see if it offers rebates or discounts for investing in more energy-efficient light bulbs. In some cases, you may even receive some for free or at discounted rates. To help preserve water, commit to taking shorter showers, fixing leaky faucets, only running the dishwasher or washing machine when necessary, and collecting rainwater to help water your plants. You may want to track water usage and find your own unique ways to reduce consumption of this resource. These small changes are affordable, and they can help you make significant strides toward a much more eco-friendly home. If you’re considering solar energy, but aren’t sure you are prepared to make the financial commitment, you can lease panels on a month-to-month basis from some solar companies. Another benefit of renting panels is that the installer will be responsible for maintenance, which eliminates potential headaches in the future. 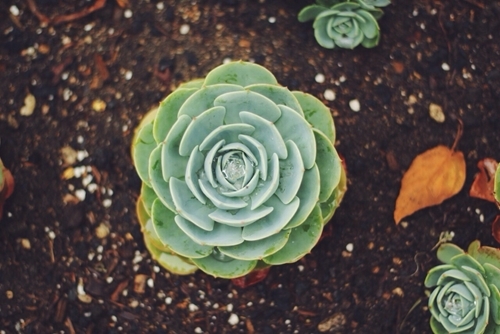 When landscaping your yard, invest in native plants. These require less water, fertilizers and pesticides as they are already designed specifically for your climate. When heading to your local garden center, ask an expert to help out when selecting the shrubs, flowers and trees to ensure you invest in plants that will thrive with little to no help. Environmentally responsible homes are critical for communities everywhere. While there are several expensive ways to transform your property into a more eco-friendly haven, there are also small ways you can reduce your carbon footprint without spending too much money. Combining these top eight tips for sustainable living on a budget with a little independent research, time and effort, you can live a greener and more efficient life.